Miso is a flavourful Japanese soya food that makes a rich, satisfying soup. 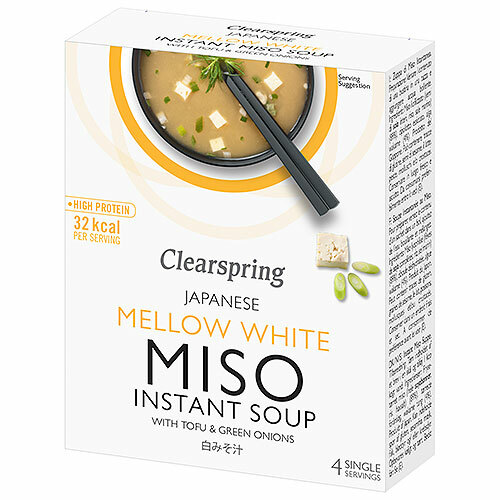 This mellow white tasting miso soup is made to a traditional Japanese recipe. White miso base with tofu and spring onions. Miso is a traditional fermented Japanese staple food and seasoning made from different types of grains but mainly soya and a unique koji fermentation culture. 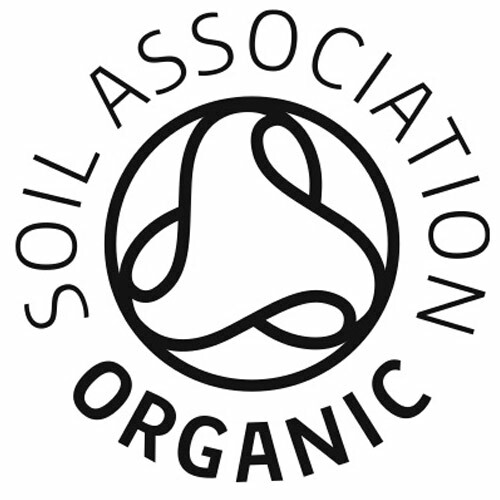 To prepare, empty the contents of one sachet into a bowl or a cup and add 1 cup (200ml) of hot water. Stir well and enjoy hot. 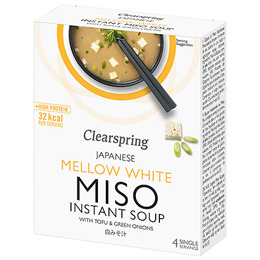 Below are reviews of Clearspring White Miso Instant Soup - 10g x 4 Pack by bodykind customers. If you have tried this product we'd love to hear what you think so please leave a review.